PSYCHO at the Sydney Opera House for Tim Woods Entertainment. 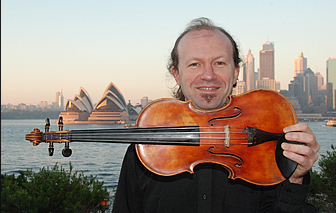 Adrian Keating was Principal Violinist with Opera Australia for over 25 years and has performed as Guest Concertmaster, Acting Deputy Concertmaster and Acting Principal of 2nd Violins. Adrian has released three Blues CD's as “Adrian K” and the live DVD/CD “Classically Blue” and led string sessions for over 10 Top 10 Australian singles and albums. He has also accompanied many contemporary singers such as Australian artists Jeff Duff, Geoff Achison,Kevin Borich, international artists Martha Wainwright and UnKle, and performed as a guest on The Voice Australia. 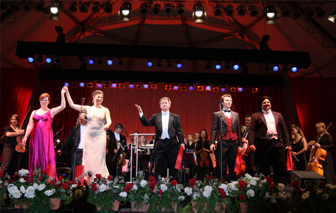 As Director of the Sydney Lyric Orchestra, Adrian’s clients have included the Paris Opera Ballet, Jose Carreras, Tina Arena, Opera in the Vineyards, CC Entertainment, Banksia Awards, Ken Unsworth, Richard Bonynge, Patrick Togher Artist Management, and Tim Woods Entertainment. 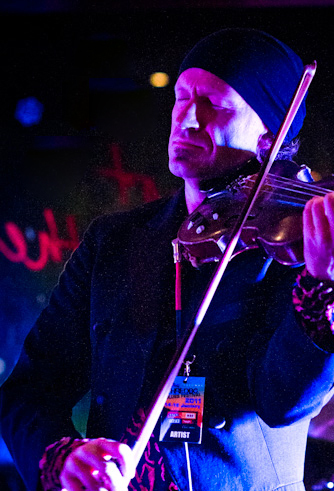 As Concertmaster at the Sydney Festival, Adrian led performances for Sir George Martin, Bernadette Peters and Al Jarreau; and he has also led orchestras for Australian tours with David Helfgott, Sir Cliff Richard and Rod Stewart. In 2005, Adrian completed the International Masterclass for Conductors St Petersburg under Alexander Polyanichko. Adrian has presented improvisation seminars to the Rising Stars program at the Sydney Conservatorium and a three-hour lecture “Making Music Immediate” first demonstrated at the Wollongong Conservatorium. 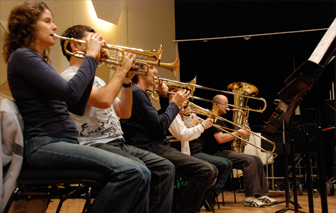 specialising in assisting with audition preparation for professional orchestra positions. Adrian has written arrangements for many contemporary artists. His breadth of experience in soundscapes and voicing as a professional orchestral player with the Australian Opera & Ballet Orchestra is evident in the standard of his work, paying attention to the needs of each artist. Jimmy Barnes National Tour 2015, Wendy Matthews; Channel 9 Station ID, U.N.K.L.E., Steve Balbi, Geoff Achison with Classically Blue, Floyd Vincent, Hubris, Abi Tucker, Jeff Duff, Justine Clarke, Sophie Serafino , Vine, Field Day, Souldiggers, Brendan Horn, Simon Meli and the Widowbirds, Glass, Aled Jones, numerous CC Entertainment productions.